Taking care of an oily skin is a constant battle to cover up the shine. Generally, the sebaceous glands present in our skin produce oil to maintain the skin moisturized. But due to certain triggers like hormonal changes, pollution and improper hygiene, excess amounts of oil is produced leading to oily skin. Extreme oiliness of the skin renders an unwanted shine to the face and clogs the pores which often lead to acne and pimples. However using natural remedies such as tomatoes can improve your skin health successfully. Apart from that, you have to maintain proper hygiene and eat nutritional diet for long term results. Is Tomato Useful for Oily Skin? Tomatoes have astringent properties that help to soothe inflammation and shrink the open pores which in turn reduce the oiliness of the skin. The acidic levels restore the natural pH balance of the skin which in turn promotes the sebaceous glands to limit the production of sebum. Salicylic acid present in tomatoes work as a natural exfoliant which helps in removing toxins, dirt, excess oil and dead skin cells from the skin surface. 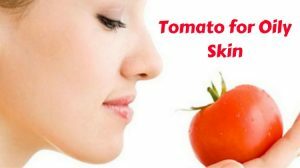 How to Use Tomato for Oily Skin? You can use tomato in several ways to treat oily skin. For your convenience, we have listed them below with a detailed description. Ripe tomatoes can be used alone as an effective natural remedy for oily skin. You can rub a tomato slice on your face for few minutes and let the juices dry completely before rinsing off. Or else you can follow the process mentioned below. Chop a medium sized tomato into pieces. Put it in a blender and puree it. Wash your face with a mild cleanser and dry with a towel. Apply the tomato puree to your face and neck evenly. Wait for 15 minutes and then wash off with water. Repeat the process daily until you get complete relief from oily skin. Honey absorbs excess moisture and oil from the skin without drying it out. The antibacterial and antiseptic properties of honey prevent acne breakouts associated with oily skin. Crush a medium-sized tomato to make a smooth paste. Add a tablespoon of honey to it and mix it with a spoon. Apply the mask evenly to your face and neck. 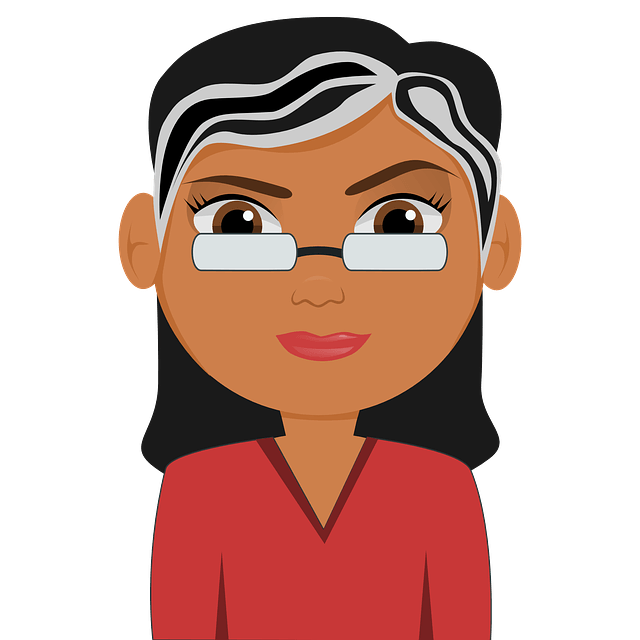 Continue the process 3 – 4 times in a week. The combination of tomato and sugar helps to remove dead skin cells, excess oil and dirt from the skin surface and reduce the oily shine. Crush a medium-sized tomato and make a thick paste out of it. Massage with your finger tips for 10 minutes. Leave it on for another 10 minutes and wash off with water. Follow the method 3 – 4 times in a week. The saponin content in oatmeal soaks up excess oil, sebum and dirt from deep inside the skin pores and helps to cleanse it thoroughly. Crush 2 medium-sized tomatoes to make a paste. Add 2 teaspoons of oatmeal to it and mix with a spoon. Apply this mixture to your freshly cleansed face and neck. Using your fingertips, massage in circular motions for 10 minutes. Follow the treatment few times in a week. Vitamin C present in lemon juice acts as a natural astringent that shrinks the open pores in the skin and controls sebum production. Crush a ripe tomato and extract its juice. Add a tablespoon of lemon juice to it and mix it with a spoon. Dip a cotton ball in this mixture and apply it to your cleansed face. The hydrating and cooling properties of cucumber help to moisturize and soothe the skin. It also helps to close the pores and reduce oiliness. Crush a medium-sized tomato into a smooth paste. Grate 2/3rd of a cucumber and add it to the tomato paste. Mix it with a spoon and apply this mixture evenly to your clean face. Follow the method few times in a week. Lack of moisturize or excessively dry skin also triggers the sebaceous glands to produce more sebum. The Monounsaturated Fatty Acids in avocado helps to keep the skin well-moisturized and prevent the sebaceous glands from producing excess sebum. Take 1/4th cup of ripe avocado and mash it with a fork to make a paste. Add pulp of 1/2 ripe tomato to it and mix the ingredients thoroughly. Apply this mixture to your face and massage it for 5 minutes. Leave it on for 15 minutes and then wash off with lukewarm water. Follow the method 3 times in a week. Lactic acid present in plain yogurt works as a natural exfoliant that helps to get rid of dead skin cells, dirt and sebum from the skin pores while keeping the skin well-moisturized. Take 2 tablespoons each of fresh yogurt and tomato puree in a bowl. Mix it with the help of a spoon. Apply this mixture evenly on your face and leave it on for 30 minutes. Vinegar balances the natural pH of the skin and reduces the production of sebum by the sebaceous glands. Take 2 tablespoons each of fresh tomato juice and vinegar in a bowl. Using a cotton ball, apply it all over your face and neck. Leave it on till it dries out completely. Repeat this method 2 – 3 times in a week. Note – You can use either organic apple cider vinegar or white vinegar for this remedy. The cleansing properties of tea tree oil remove oil and dirt from the skin surface while its astringent properties shrink the open pores. Take 1 tablespoon each of fresh tomato juice and water in a container. Add 5 to 8 drops of tea tree oil to it and mix with a spoon. Soak a cotton pad in this concoction and use it to wipe your face and neck. Use the wipe to clean your face every time it feels greasy and dull. Repeat the process 3 times in a week until you achieve the desired results. Note – Make sure to dilute tea tree oil with water before applying it to the skin. Although topical application of tomato is considered safe, it’s highly acidic nature can cause skin irritation, itching, redness or rashes. Therefore, it is recommended to perform a small patch test on the skin before using tomatoes for any home remedies. Lycopene present in tomatoes can cause allergic reactions in some people. Symptoms of lycopene allergy are itching, hives, rashes, swollen lips, chest constriction, burning sensation in the eyes, etc. Use a gentle gel or foam-based cleanser to clean your skin. Don’t over-cleanse your face as it can excessively dry and trigger excess production of oil. Cleansing your face twice a day is more than enough to remove the impurities on the skin. Use a natural toner after every cleansing session to shrink the size of the open pores. Apply an oil-free, non-comedogenic moisturizer to your skin every day. Carry bloating papers, facial wipes or tissues so that you can soak away the excess oil from your skin. Always use lukewarm water to wash your face, because hot water leaves the skin excessively drying. Improve your diet and reduce the intake of processed, sugary, oily and fried foods. Say good bye to oily skin naturally with the any method mentioned above. Let us know which remedy worked best for you. Also, share your views, suggestions and tips with us in the comments section below. Trying the tomato to cleanse and the tomato and vinegar for the toner. . Today is the first day. This is my ladt option for my oily skin before going to a doctor! what can i use to dillute a tomato b4 appling it on my senstive skin? You can add honey, cucumber juice, potato juice or yogurt. for the toners, can I leave them on all night and wash it off in the morning? Can i use tomato with yogurt daily ? Can i use tomato with yogurt daily on face? Can i use tomato tomat oily skin for wholenight ?